RJM Systems, Inc. provides the highest quality in information management systems and services to meet the demand of higher educational institutions today. SONISWEB, a completely Web-based student information system uses standard Internet server software to deliver the best combination of feature, function and usability. Give students, faculty and administration easy access to information through a variety of web browsers. Pros: We love being able to access the database from anywhere we have Internet access. Our students like being able to go online and access their accounts for class schedules, transcripts, etc. We are using the timed letters and activities to help us walk our students through the application process. 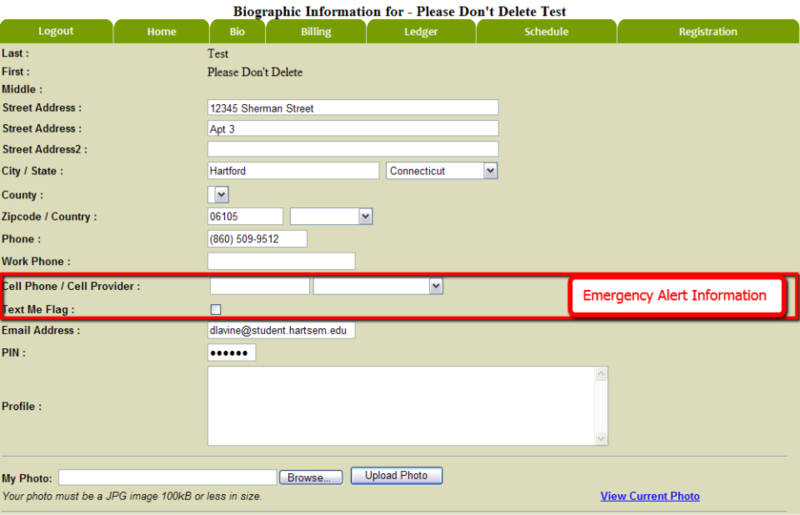 The checklists also allow us to keep better track of what documents we still need from students and we really like being able to attach those documents directly to their record in the database. The database works especially well for our certificate programs that operate on a fairly traditional schedule. We are looking forward to beginning to use the Employers access to help our students and alumni in their job search process. Cons: We are struggling a little bit in using SonisWeb with our Community Ed/Continuing Ed type courses. Those courses range in length from 3 to 30 hoursand we often have multiple sections within a semester, each meeting at different times. When we do registrations it is difficult to determine which section is which because the dates are not shown on the registration screen. SonisWeb allows both sections and sessions to be assigned to courses to help identify the time frame they are being offered, but we are finding neither feature is giving us as much flexibility as we need for enrollment. The other issue we have run into is that sometimes it requires a four or five step process to do a simple enrollment. Overall: Overall I think this is a good product. We researched a number of products before we selected SonisWeb. Our college has both programs with traditional schedules and a large offering of Community Ed/Continuing Ed courses. We found that everything we looked at had a definite emphasis toward one type of courses or the other. Nothing was equally strong in both areas. That being the case, we selected SonisWeb knowing that we would need to figure out how to work things around to do our Community Ed style offerings. This is a strong product with a good track record. They have a well-defined implementation process and worked with us to make sure we were able to "go live" with the database on schedule. They have also been very responsive to any and all requests for assistance since we made the purchase. I would recommend this product. Pros: ~You will have the ability to use as much of the software as you want or as little, very flexible. ~The product is expanded though periodic updates; which add loads of extra features or improvements. The product is always being improved. ~You can choose to host yourself, or have it hosted by SONIS. We have done both, but are now a hosted customer. Highly recommend going this route, all updates are installed for you. Well worth the extra cost!!! Cons: The only reason I marked "meets your needs" lower is I do hear some complaints from the Recruiters about the prospective student portion of the software. However that user will be obtaining additional training soon, and I hope that will help. There may be some room for improvement in that area of the software? Overall: I would certainly recommend SONISWeb to a small to medium sized college looking for a wide variety of student and course management tools. Great value for the money. So glad we are using SONISWEB! Pros: So much easier to use than our legacy system! The reports that are already built are very useful for our needs, and we are pleased with the ability to create our own reports as well. I also have to sing the praises of the SONISWEB staff being attentive to us during implementation. Our account representative was highly knowledgeable, capable, and very patient with the quirks of our institution and with guiding us through the various things that arose during conversion and implementation. Cons: There are just a few paths that are circuitous in terms of how to get to certain data or reports. Some of those paths are not necessarily intuitive and take some getiting used to. That is just a general layout organization comment; overall we are highly satisfied with the product. Overall: We are a smallish school that outgrew our legacy system and SONISWEB is perfect for us! We have been very pleased with its capabilities and features. Overall: Since the initial installation of SONIS in 1997, the product has been enhanced and its use at HLSCC has expanded. Although no packaged system is perfect, I strongly believe that SONIS was the best institutional choice at the time and it remains an efficient and economical solution to our institution's student administration needs. As a company, RJM has been extremely responsive to our needs and helpful in customizing the product to the College's unique environment. We remain very satisfied with both the SONISWEB product and the team at RJM with whom we collaborate. Pros: The Sonisweb implementation process was fast and efficient, and RJM's customer support is phenomenal. Our Business Office manager, who came from a Banner school, tells me about twice a week how much she loves Sonisweb. Navigation is fast and easy, and administration is manageable even for a non-IT person given the extensive documentation and the level of cutomer support. Cons: During data conversion, some fields listed as optional really should be made mandatory or at least highly recommended. The query builder function could use more flexibility. 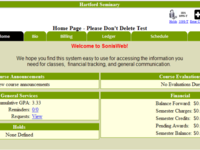 Overall: After reviewing about a dozen student information systems, I'm very happy we went with Sonisweb. Pros: SONISWEB has allowed us to streamline our business processes. We love the fact that it brings everyone (faculty, staff, students) on the same page. Cons: We'd love to see more Help features implemented directly into the system (i.e., data dictionary, scroll over help or Help icons). Some of the features are not easily defined or identifiable. Overall: We're looking forward to growing with SONISWEB. I can't wait to see new features as the system continues to grow. Pros: This product lends itself to easy navigation for administrators, faculty, and students. 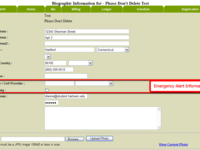 There are many modules within the software that allow community constituents to access and post information as well. The customer support is excellent. Overall: I highly recommend this product to campuses that require intuitive software that is user-friendly and easy to navigate. Comments: This platform has a UI and design that's straight out of the '90s. Accessing grades requires knowledge of a completely unintuitive process that requires clicking on a tiny red dot in an unexpected place. Overall a very poor product, a big step back from my school's old portal. Pros: You can do just about anything you'd want to with the software... if you can get past the inconsistent UI and awkward structure of everything.